Cheshire Rural Touring Arts (CRTA) began just over 21 years ago with six village halls taking professional shows. Touring to non-theatre spaces offered an up close, personal and inclusive experience for companies and audiences alike which has been much in demand. CRTA now offers two seasons combining over 60 shows each year across Cheshire. Their success has been the result of volunteer promoters and audiences across Cheshire. Carrying on the tradition of selecting the best current professional touring performances, the spring season includes 32 theatre, dance, music or family shows taking place in 26 Cheshire village halls, libraries or rural museums from 1 March to 31 May. This season features some unusual and compelling theatre. Blaize Theatre’s Joan and Jimmy tells the story of Joan Littlewood, one of the most radical and influential theatre directors of the 20th century theatre and her husband Ewan MacColl (real name Jimmy Miller), who later became well known for his folk music. 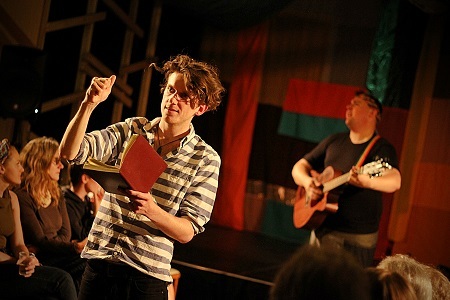 They founded Theatre Workshop in Kendal with a travelling troupe of storytellers and outlaws committed to overthrowing the established order and bringing accessible theatre, unusually including regional accents, to people of the North. See it at Goostrey Village Hall on Friday 1 March, or Lion Salt Works Saturday 2 March. Continuing the historical political theme, Red ladder Theatre Company will perform Wrong ‘Un, a one woman suffragette musical starring the excellent Kathleen Yore. This punchy musical drama tells the story of a Lancashire mill girl who is galvanised by injustice to fight for women’s’ suffrage. See the show at Frodsham Community Centre on Saturday 9 March. Also on the theme of injustice and courage, Blindside is an award winning solo show by Canadian Stephanie Morin-Robert, which tells her story of growing up with cancer and a glass eye. A dark physical comedy, the show is a lively mix of dance, storytelling and multi-media which won Most Outstanding Production at London Fringe Festival. See it in Neston on Thursday 14 March. In collaboration with the Rural Touring Dance Initiative (RTDI) there are two very different dance performances on offer. Lila Dance return with The Hotel Experience, a new high energy, physically enthralling dance theatre show at The Fallibroome Academy on Friday 8 March. Animated by an exciting moving set, the show looks behind the ‘do not disturb’ signs and eavesdrops on the hopes and dreams of the guests. 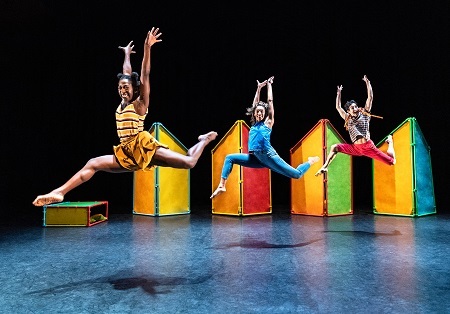 For younger children, Uchenna Dance’s Hansel and Gretel retells the classic fairytale with a twist, the two young heroes are lost in a big city. A seamless weave of New York Club dance styles including Vogue, African and Contemporary Dance, the show is at Whitby hall on Sunday 17 March. In collaboration with Big Imaginations, CRTA presents a new play for young audiences by Mashi Theatre. Stripy Honey is Very Yummy! is a touching story of how tigers bees and honey collectors learn to live and play together. With music song dance and puppetry, explore the jungle to see how the honey bees and tigers survive. Some of the research for this performance took place at Chester Zoo. Performances are on Sunday 10 March, 11am at Lion Salt Works, and 4pm at Mollington Village Hall. 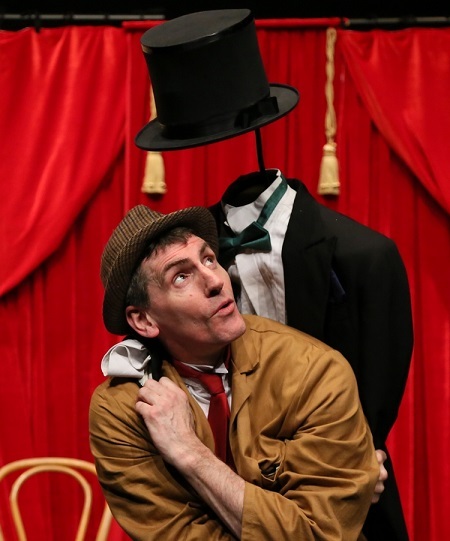 Loved by children and adults alike, Jango Starrs beautifully crafted absurd and funny show One Man Shoe is a mix of physical theatre, circus, clowning puppetry and juggling. When the headline act fails to show up, Jango, a bumbling caretaker is thrust into the limelight. At Tarvin Community Centre on Friday 10 May and Crewe Lyceum Studio on Saturday 11 May. The much in demand Robin Ince, award winning comedian and broadcaster is bringing Chaos of Delight an aptly named show full of delight and curiosity covering everything from bohemians to black holes, Dali to DNA to Kelsall Village Hall on Friday 23 March and Tarvin Village Hall on Saturday 24 March. With nuances of pop and western swing, Canadian Ryan Cook mixes classic country music with modern satire. His acoustic show combines thumb picking guitar styles, original folk and vintage 40’s and 50’s music. See him at Little Sutton Library on Wednesday 27 March, Middlewich Folk Club on Thursday 28 March or Great Budworth Village Hall on Friday 29 March. 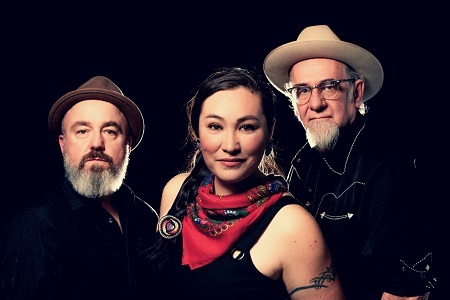 Born in a tent and raised in a cabin in Canada’s Yukon Territory, the singer Diyet’s melodies are influenced by her Southern Tutchone, Japanese, Tlingit and Scottish roots. The trio Diyet and the Love Soldiers perform alternative folk roots and country music songs accompanied by guitar and foot percussion which are always beautiful and gentle but also hard and raw and intensely alive. Hear them at Macclesfield Library on Saturday 27 April and Wilmslow Library on Sunday 28 April. If your music taste leans more towards blues and jazz, FB Pocket Orchestra work backwards from the 1930’s performing popular blues, hot jazz, ragtime songs and dances. The beauty and originality of their repertoire lies in the subtle interaction of more traditional instruments like banjo, cornet, accordion; tuba and clarinet. See them at Little Budworth Village Hall on Friday 19 April, Kettlehulme Village hall on Friday 10 May, Cuddington Village Hall on Saturday 11 May or Neston Town Hall on Sunday 12 May. Unusual and atmospheric storytelling features in other shows this spring. Walk the Oars; Vikings in Scotland by Danish storyteller Svend Erik Engh with Scottish Musician and singer Neil Sutcliffe invites the audience to board a Viking longship. Enjoy a feast of stories, songs and poems about the meeting of two cultures which turn out to be very alike. At Gawsorth Village Hall on 12 April, Mollington Village Hall on 13 April and Upton Village Hall on 14 April. The myths continue in Unmythable. Legendary heroes, psychotic dragons and randy gods go to head to head in this hilarious and unforgettable production by Out of Chaos. An anarchic blend of comedy, cross dressing stories and songs at the Electric Picture House’s new venue in Congleton, on Saturday 11 May. Last but not to be missed, Orpehus, an internationally award winning show is the modern retelling of the ancient myth. Performed by a storyteller and a musician, this is a fusion of hair raising spoken word and soulful live music. It’s a 5,000 year old story brought up to date, going through back streets and dive bars, a show about falling in love and how far we’d want to go to save those who are near and dear to us. This show was recommended by two of the volunteer village hall promoters who went to the Edinburgh fringe to research for the CRTA programme. The show is at Kingsley Community Centre on Friday 10 May, Wincham Community Centre on Saturday 11 May, Plumley Community Centre on Sunday 12 May, Audlem Community Centre on Saturday 18 May and Crewe Lyceum Studio on Saturday 31 May. For more information about any of the shows, details on how to buy tickets or to see the full CRTA autumn season, visit: www.cheshireruraltouringarts.co.uk.